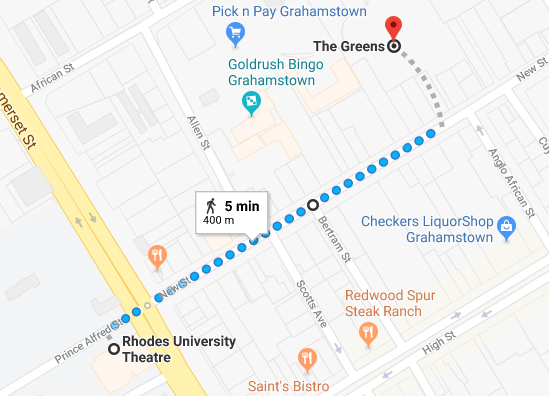 How far is it from The Greens to Rhodes University? A 5 minute walk – an alternative route is through the Peppergrove Mall past Pick ‘n Pay into Allen Street. How do I rent an apartment? Please email us. Your email will be directed to all the apartment owners and you will quickly be contacted by a landlord who feels they can assist you. The apartments are all wired for ResNet. You may sign up through Rhodes for a nominal annual fee to gain access. What security measures are in place at The Greens? The managing agent liases directly with the owner and tenant as these matters arise and there is a set protocol which includes warnings and fines. Is it a student complex? The majority of tenants are students within the complex. Who is the The Greens Complex managing agent? Remax Frontier who are situated just outside Peppergrove Mall in African Street. Each apartment has one allocated parking space however, owners may have purchased additional covered parking as an extra benefit for their tenants.